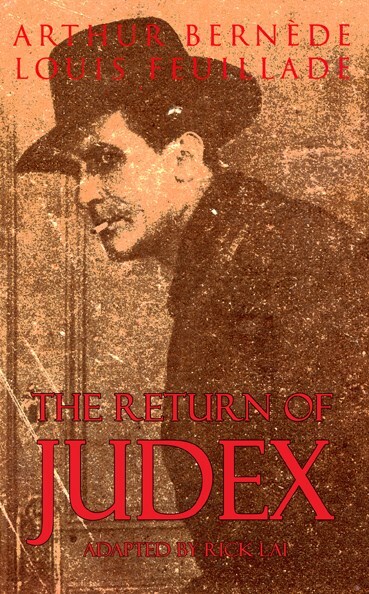 "At a time when so many people are driven to despair, when criminals brazenly commit their atrocities, why doesn't Judex resume his mission of Justice and Redemption. Why doesn't he rescue the victimized? Is Judex too happy?" In 1918, silent film director Louis Feuillade and writer Arthur Bernède resurrected one of their greatest characters for a second adventure: a mysterious avenger, wearing a slouch hat and a dark cloak -- Judex! His name means "Judge," and he has sworn to mercilessly punish criminals. On the eve of World War I, the Paris underworld is dominated by the Secret Raiders, a vicious gang of spies and extortionists. Their leader is a one-eyed mystic who meticulously records all the crimes that he intends to commit in the future. This mastermind has hypnotic powers that allow him to telepathically force honest citizens to commit crimes. Assisting this diabolical mesmerist is a seductive baroness. Besides being an expert cat burglar, she is also a superb pugilist capable of beating a man to a pulp. Only one man can stop these criminals: the shadowy vigilante known as Judex! However, the Secret Raiders discover that Judex is really the wealthy Jacques de Trémeuse. They strike at him through his family! Worse yet, Judex finds his efforts to protect his loved ones constantly sabotaged by the incompetence of one of his own agents! Read an exciting adventure that foreshadowed Fritz Lang's classic film trilogy about Dr. Mabuse.